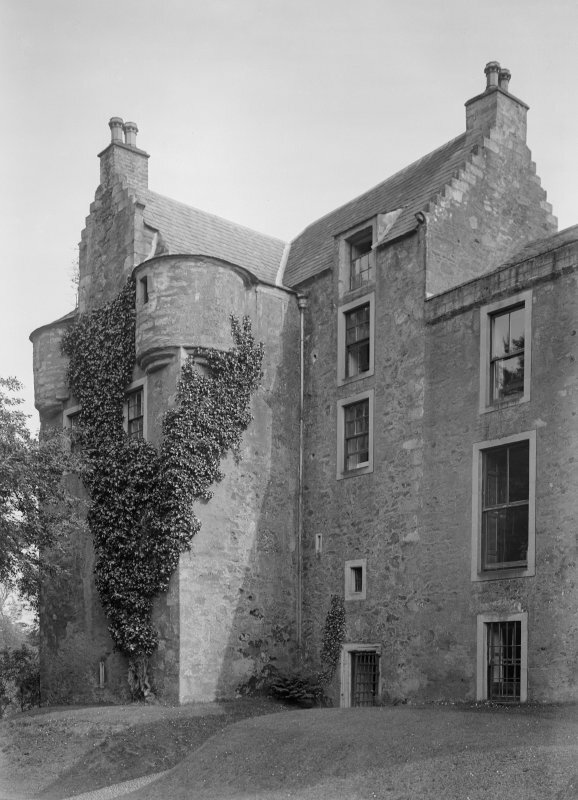 Barjarg Tower: This L-planned tower, dating from the late 16th century, and said to have been given by the Earl of Morton to Thomas Grierson in 1587, forms the E-wing of a mansion built in 1806. 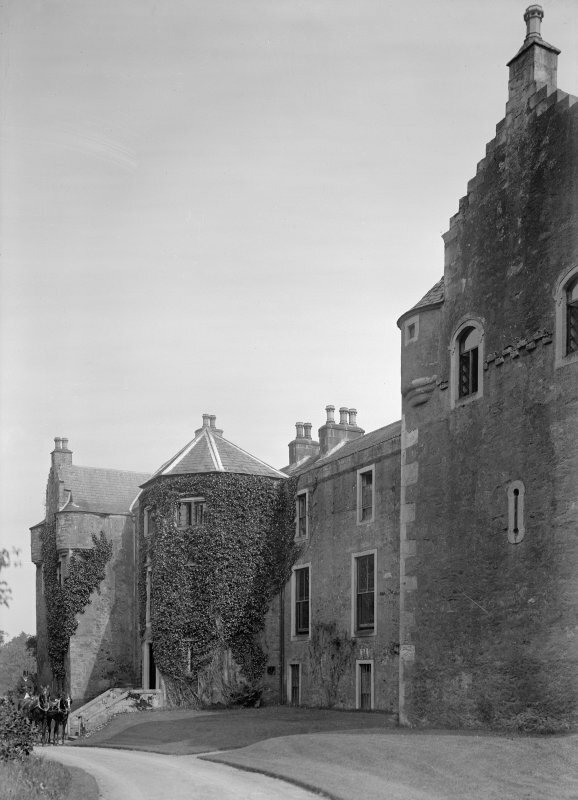 Built of red rubble and rising to four storeys and an attic, it has both corbelled angle-turrets and a parapet; the latter may be a modernisation as there has been considerable alteration to the building. The W wing of the modern house is a very fair imitation of the style of the earlier fortalice; it bears a panel dated 1680, which presumably has come from the latter. Barjarg Tower is as described by the previous authorities.